On Monday Barnes & Noble announced their newest device the Nook Tablet a direct competitor for the Amazon Kindle Fire. The tablet features a 1GHz dual-core processor, 16GB of internal storage (upgradeable to 32GB) and a 7-inch display with support for 1024 x 600 pixels of resolution which we’ve now come to learn will support HD streaming movies via the tablets pre-installed Netflix application. Among other video and music streaming partners for the device are Hulu, Pandora, Rhapsody and MOG. At a time when Netflix has suffered the loss of 800,000 subscribers due to 60% pricing increases the movie couldn’t come at a better time for the movie and TV streaming company. 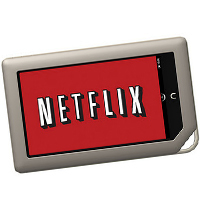 Would you be willing to give Netflix for Nook a try?